Removing certain bad links to your site might be worth your time and effort, especially if they're damaging your site's good SEO. 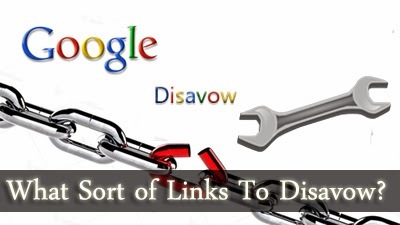 It becomes more or less necessary once manual action has been taken on your site on account of these bad links, in which case you have to use the Disavow Tool from Google to get rid of these links. But what sort of links should be disavowed? More importantly, can you use it even when there's no manual action from Google? If a manual penalty from Google has been applied, you will get to know about it from your Google Webmaster Tools dashboard. Often times, the report will tell you what backlinks to your site have caused the action, in which case you can go right ahead and disavow those links immediately. Or rather, read the following article before doing such a thing. Often times, people will do bad SEO that they're not proud of. They may even hire an SEO who would 'promise results', but would use some of the bad practices to make the website perform well. Such boosts are mostly temporary, and when the bubble bursts and you realize what's really going on, it's too late. BAM - You're under penalty. That's the perfect situation to use the disavow tool to discredit bad links to your site from a certain period of time. If there's no manual manual penalty, but you're still worried that someone might be doing - or trying to do - negative SEO, or you come across a spam bot that's pulling up a bunch of links to your site and you have no idea where it came from, then that's a perfect time to pre-emptively disavow certain links. So the use of the Link Disavow Tool isn't always warranted by a message in your Google Webmaster Tools dashboard. If you have done the work to keep an active look on your backlinks, and you see something strange going on, don't just wait around! Feel free to go ahead and use disavows, even on a domain level, especially if there's a spam bot involved, and you have no idea what it's doing, and why.